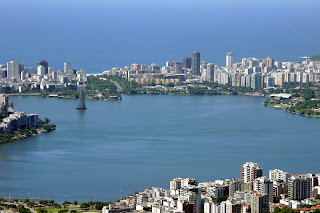 Located in the north Ipanema and Leblon, Lagoa is actually salt water lagoon and a favorite destination of the stork. It's also a crowded place as often visited by people who want a relaxing bike ride or run around the coastal strip which has a length of 7 kilometers. In the evening, you can visit the outdoor restaurant by the lake, Palaphita Kitch. A few blocks from the Lagoa, you'll find an exotic botanical garden in an area of ​​137 hectares. More than 5,000 species of tropical plants can be found here, including the collection of orchids and Vitoria Regia water lilies. 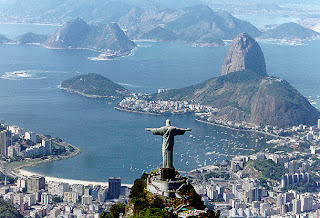 Translated as Sugarloaf Mountain with an altitude of 395 meters, Henrique offers stunning views of Rio. A visit to this place is a must even on a short visit to the city. Most visitors will use the cable car to get to the top of Pao de Acucar. 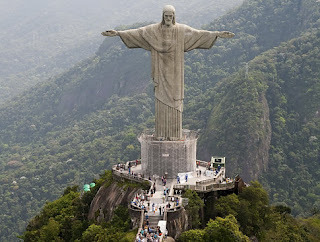 One of the iconic Rio, Christ the Redeemer statue stands 40 meters on Mount Corcovado. The area is surrounded by scenery that is unmatched. The best way to where it is by train. Should arrive early to avoid crowds.